It feels like just last week the majestic giraffe finally had its moment in the spotlight. Wait, that was last week. At long last, the world’s tallest land mammals are getting the respect they deserve. Except, because everything we humans love we somehow destroy, giraffes are now dying. Indeed, giraffes have long been overlooked in terms of research and conservation, although that’s starting to change thanks to groups like the GCF and pro-active governments. Over the past five years, there’s been major progress compiling population data on giraffes and decoding their genetics. Based on the latest DNA evidence, a recent scientific paper (also led by Fennessy) calls for reclassifying the long-necked herbivores into four separate species. If formally adopted by the IUCN, this new classification would overturn the one species, nine subspecies taxonomy that traces back to 18th century biologist Linnaeus. Biologists are still arguing about it. But however the scientific debate shakes out, it’s a poignant example of just how mis-understood giraffes are. The IUCN identified a number of factors responsible for the rapid decline, including many of the usual suspects: illegal hunting, habitat loss and degradation, and civil unrest. All of these issues relate to a growing human population, and as our numbers continue to rise, we can expect the giraffe’s problems to get worse. There is, however, a reason to be optimistic. 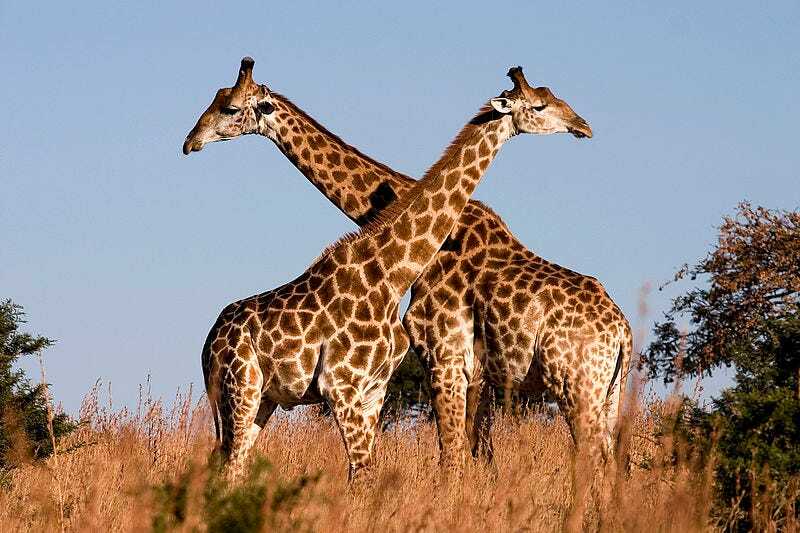 Three of the currently-recognized subspecies—the southern giraffe of South Africa, the West African giraffe of Niger, and the Rothschild’s giraffe of Eastern Africa—have seen their numbers rise since 1985 due to better management, pro-active conservation policies, and in some places, a booming eco-tourism industry. Fennessy hopes that giraffe conservation success stories, along with the latest dire status report from the IUCN, prompt more national and international action to safeguard these amazing animals.